Fairhaven Wind LLC is a group of local developers concerned about the environment and our nation's energy use. The Project consists of two 1.5 MW turbines installed behind the Waste Water Treatment Plant on Arsene Street. 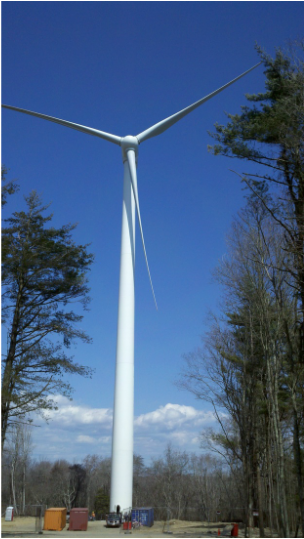 The Town of Fairhaven has entered into a 20-year agreement with Fairhaven Wind LLC to lease town property and purchase 100% of the power from the 2 turbines. The Town receives lease payments, property taxes, and power at a rate less than if the local utility continued to provide electricity to the town.